With the only league game for Repton (Ladies’ 2s) cancelled due to the weather, the focus this weekend was on the indoor competitions. The men and ladies were competing in Division 2 while the four junior teams were competing in the National Finals after they all claimed the Midlands titles in December. This involved over 60 players in five locations - the only club in the country competing on this scale. The level of involvement stretched the Club’s playing and coaching resources and meant that some of the six squads were missing key players. The Ladies’ VI travelled the short distance along the A50 to NTU and had to compete on day one with no substitutes. They managed two wins on day one (Brooklands 5-4 and Stourport 8-4) which was quite a feat, especially given the age of the six players (three aged 18, one 17, and two 15). The squad was boosted by an additional player on Sunday when Ellie Watton (GB & England) brought her significant experience to the group. With two draws (Wimbledon 1-1 and Trojans 3-3) in the next two matches, Repton needed to win the last game to be certain of a top two promotion slot, which they duly did with a nail-biting 3-2 win vs Ipswich. Promotion to Division 1 is a significant achievement in the first year of entering the competition with such a young, small squad. The Men’s VI travelled to Bristol to compete in Division 2 which was hosted at UWE. The opening game was against University of Exeter who play in the National Premier League in the outdoor format of the game. Repton went down 3-4 in a fast-paced, high-quality game and were left rueing errors that led to two of the goals. In the second game of the day, Repton hit form to win 7-5 against a a dangerous Oxted side. The opening game on Sunday gave Repton the chance to reverse their loss in the Division 2 North stage against Bedford HC. A strong 6-3 win was followed by another good win (8-4) against West Herts. With Exeter losing to Oxted, the league positions were all up for grabs as Repton played Doncaster in the final game. Repton needed a win or a draw to secure one of the two promotion slots. Both teams were on the same goal difference but importantly Repton had scored more goals. The match was exceedingly tight and tactical. Chances were limited for both sides but Repton’s Matti Thomas scored an important field goal to go into half-time 1-0 up. As Doncaster pushed for an equaliser, the match opened up and Repton scored three goals to put pressure on Doncaster. With five minutes remaining Doncaster took off their GK to add an extra outfield player, but Repton kept their nerve and maintained their discipline. 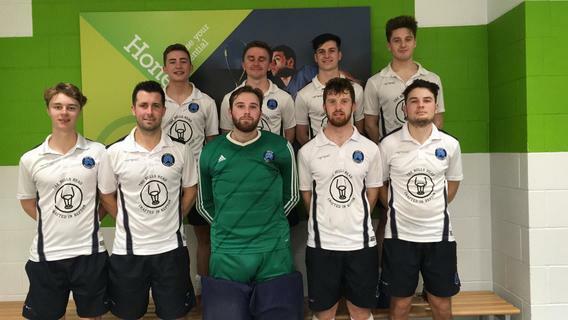 Doncaster scored a consolation goal but it was not enough, and Repton gained promotion to Division 1 as champions due to a superior goal difference over Exeter. Si Claris was on fine form and topped the goalscoring table with sixteen goals in the five matches. 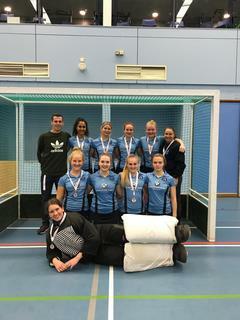 The U18 girls played in Croydon and finished as runners-up in their pool. A strong performance in the semi-finals vs Harleston Magpies (4-1) put them into the final vs Southgate, who they had already met in the pool stages. The final ended 2-2 and went to penalty flicks, which Southgate squeezed through. A silver medal and second place in the country is a fine result from this talented group. 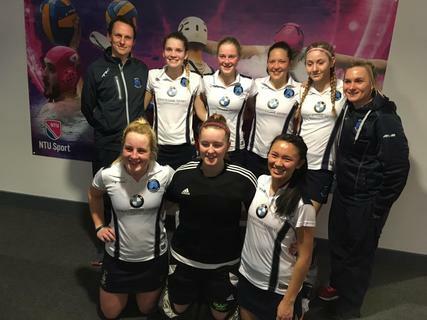 Led by captain Emilia and coached by Jack Rolfe this weekend, for some this was their last U18s indoor tournament and they should be incredibly proud of their achievements with the club over the past three seasons. Thanks to all for their hard work and commitment to the club. The U16 girls were without two of their players with international experience who had been drafted into the Ladies’ VI, but showed the talent and depth of their squad. Repton won the pool in style with four wins including a 3-1 win against the southern powerhouse, Surbiton. 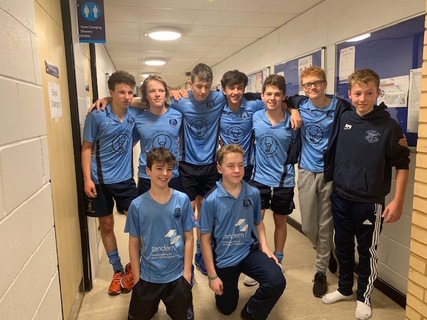 In a clinical display of attacking indoor hockey Repton won the semi-final vs Stourport 4-1 to progress to the final against Sevenoaks. 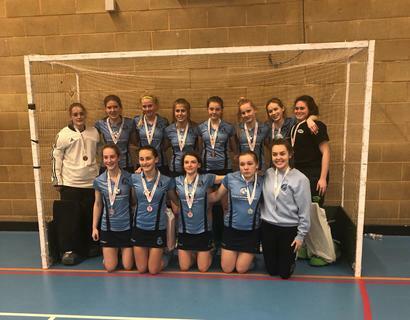 A silver medal was the reward for their weekend’s work as Sevenoaks won the final 4-2. Bronte Brough led the goal scorers in the tournament with an impressive 13 goals scored across the 5 games and the team were captained by Ellie Barlow and coached by Nat Mansfield. 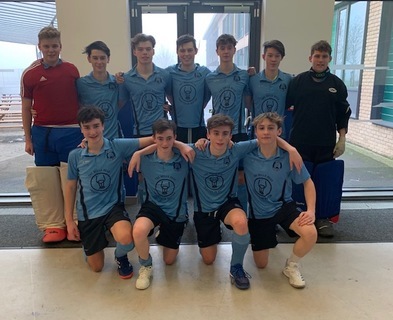 Both the U16 and U18 boys’ teams competed well and just missed out on semi-final slots, in the case of the U16s on goal difference.The U18s improved through the group stages to win their final pool game 8-2 vs Ipswich HC but with two losses (1-3 vs Bowdon HC and 2-3 vs Marlow HC) and a draw vs Ashmoor(3-3) they failed to qualify for the semis.The U16s started their tournament well with a 3-1 win vs Brooklands and a 5-3 win vs Clifton but a draw vs Old Loughtonians and a 1-4 loss vs eventual winners Winchester HC cost them a semi-final spot. Both squads should be proud to be in the top six indoor teams in the country. Zach and Marcus captained the U16s and U18s and Paul Gannon and Nat Mansfield coached the teams. This weekend ran so smoothly in no small part to our volunteer managers Adrian, John, Kim, Kate, Ginny and Jess who gave up so much of their time before and during the tournament to support the teams on and off the bench - a huge thank you from the Committee and all the members and the supporters. We are also very grateful to our weekend coaches Nat, Jack, Paul, Morgan and Jonathan for their efforts on what was the busiest club weekend of the season. Finally thanks as always to our amazing sponsors Stratstone BMW and The Bulls Head Repton!